Refer your friends and family to Superpoker and receive up to $100 bonus cash per player! Under one of the most innovative and potentially lucrative referral programs in the industry, the Superpoker Refer a Friend Program gives you the chance to earn a percentage of the action. By referring friends and family to Superpoker, you can put yourself on the payroll and enjoy monthly cash payments straight to your Superpoker Poker Account. The Superpoker Referral Program is two-fold. 1. 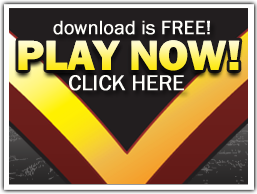 Receive a 100% Match Bonus for each depositing poker player you refer to us. 2. Earn a piece of your referred friend’s action from all their game play at Superpoker. 1. Refer a friend to Superpoker and insure they enter your email address in the ‘I was referred to Superpoker ‘ field, when creating their new Superpoker Account. 2. Once a first deposit is made to your friend’s new Superpoker Account, we’ll match the amount of their deposit to both you and your friend’s Pending Bonus accounts, to a max of $100. 3. Let your friend know they’ll reap the rewards. With our 110% Deposit Bonus and Refer a Friend Match Bonus, they’re eligible to receive up to $700 in Bonus Funds!